Financial aid professionals will be on hand at Vincennes University’s Curtis J. Shake Learning Resources Center beginning at 2 p.m. Sunday to help college-bound students and their families open the door to financial aid during College Goal Sunday. This free event is designed to help college-bound Indiana students and their families to complete the Free Application for Federal Student Aid (FAFSA). On-site help will be available from financial aid experts, primarily from Indiana colleges and universities. This entry was posted in Business and tagged Business, Financial aid, Students. China’s Wanxiang Group won an auction for Fisker Automotive Holdings Inc., the maker of luxury plug-in hybrid cars, with a $149.2 million bid, almost six times what Fisker was seeking when it filed for bankruptcy. Wanxiang topped Hybrid Tech Holdings LLC during the auction, which began three days ago and went through 19 rounds of bidding, with an offer that includes $126.2 million in cash and $8 million in assumed liabilities, Fisker said yesterday in a statement. U.S. Bankruptcy Judge Kevin Gross is scheduled to consider approving the sale on Feb. 18 in Wilmington, Delaware. When it filed for bankruptcy in November, Fisker asked Gross to let Hybrid buy the company for about $25 million. Hybrid held a U.S. government loan to Fisker that the carmaker had defaulted on without making a payment. Unsecured creditors objected to the price and helped bring Wanxiang, China’s largest auto-parts supplier, into the case in December. With the assets, the Chinese buyer could revive the Fisker brand in the world’s biggest auto market, which is struggling to reduce some of the globe’s worst air pollution. It would also provide an entry point to selling cars in the U.S. Wanxiang already owns the successor to the U.S. company that supplied batteries to Fisker until collapsing under the cost of recalling defective power packs. Henrik Fisker, who founded the Anaheim, California-based automaker in 2007, told Congress in April that safety recalls, the bankrupt battery supplier and shipments lost to Hurricane Sandy hurt the company’s finances. Fisker listed assets of as much as $500 million and debt of as much as $1 billion in its Nov. 22 Chapter 11 petition. The company sought creditor protection after defaulting on the U.S. loan. It had drawn about $192 million of the initial commitment of $529 million from a federal program intended to spur production of alternative-energy vehicles. Hybrid Tech last year paid the U.S. Energy Department $25 million for the right to collect the loan. Fisker said in its bankruptcy filing that it intended to make a quick sale to Hybrid, a company led by Richard Li, the son of Hong Kong’s richest man, Li Ka-shing. “This is a great result for all Fisker stakeholders, including Hybrid Tech Holdings LLC and Fisker’s general unsecured creditors,” Marc Beilinson, the carmaker’s chief restructuring officer, said in the statement yesterday. Among Fisker’s assets are 18 patents covering grille designs, a fender vent and electric-vehicle drivetrain technology, according to the database of the U.S. Patent and Trademark Office. It also has at least 18 more patent applications pending, including in aluminum subframing and solar-car technologies, said Charles Shifley, a patent attorney at Banner & Witcoff Ltd. in Chicago. Fisker also spent $20 million in 2010 to take over an abandoned General Motors Co. plant in Wilmington. Both Hybrid and Wanxiang said they were interested in using the U.S. plant. In bankruptcy court, a secured creditor like Hybrid typically can trade the face amount of a loan for a company’s assets in a so-called credit bid. While Fisker owed Hybrid more than $168 million, Gross said Hybrid could only use $25 million in any credit bid, siding with Wanxiang and unsecured creditors who argued a limit was the only way to create a competitive auction. Hybrid later raised its offer to $55 million, including the $25 million credit bid. The Energy Department decided to sell its interest in Fisker after the default and when attempts to find a buyer failed. The winner of the auction will have to keep manufacturing and research in the U.S., Energy Secretary Ernest Moniz said last month. “After actively bidding in the auction, Hybrid has elected to retain its rights as a lender rather than continue to bid for ownership of Fisker,” Hybrid said in a statement. Fisker said the sale should close “promptly” after Gross grants his approval. The deal is also subject to clearance under the Hart-Scott-Rodino Antitrust Improvements Act of 1976, according to Anita-Marie Laurie, an outside spokeswoman for Fisker with Sitrick and Co. The act requires individuals and companies over a certain size to adhere to notification and waiting period conditions before they complete acquisitions resulting in holding stock or assets above specified thresholds. The case is In re Fisker Automotive Holdings Inc., 13-bk-13087, U.S. Bankruptcy Court, District of Delaware (Wilmington). This entry was posted in Business and tagged Business, Fisker Automotive Holdings Inc., Wanxiang Group. The Obama administration gave banks guidelines to transact with legal marijuana sellers on Friday. The Obama administration on Friday gave the banking industry the green light to finance and do business with legal marijuana sellers, a move that could further legitimize the burgeoning industry. For the first time, legal distributors will be able to secure loans and set up checking and savings accounts with major banks that have largely steered clear of those businesses. The decision eliminates a key hurdle facing marijuana sellers, who can now legally conduct business in 20 states and the District. So far, the Obama administration has dealt with the legal dilemmas posed by Colorado and Washington — where state laws now allow recreational marijuana use — largely by choosing not to enforce the federal statutes. Eighteen other states allow the sale of medical marijuana — though federal law does not allow that, either. Last year, for example, the administration said it would not challenge Colorado’s and Washington’s legalization of the drug, as long as they kept a tight rein on marijuana businesses. The administration agreed in August not to prosecute legal dealers as long as they met eight requirements, including not selling to minors. This was not, federal officials said, a change in the law itself. Marijuana was still illegal, as far as the federal government was concerned, in all 50 states. Instead, it was just a declaration that the Justice Department had bigger things to worry about. On Friday, the administration went a step further by laying out a path for banks to bring marijuana commerce out of the shadows and into the mainstream financial system. The Treasury Department issued new rules that could make it easier for banks to do business with marijuana dispensers. In separate guidance, the Justice Department directed U.S. attorneys not to pursue banks that do business with legal marijuana dispensers as long as the dealers adhere to the guidelines issued in August. A senior administration official, who was not authorized to speak publicly, acknowledged that the decision could draw legal protests from anti-legalization groups. Some lawmakers have complained that the administration is enabling an industry that is in violation of federal law. “Marijuana trafficking is illegal under federal law, and it’s illegal for banks to deal with marijuana sale proceeds under federal law. Only Congress can change these laws. The administration can’t change the law with a memo,” Sen. Chuck Grassley (R-Iowa), ranking member of the Senate Judiciary Committee, said in a statement. Financial institutions have feared that they would run afoul of money laundering statutes by accepting money from an activity considered illegal under federal laws. That has made it difficult for the growing crop of legal marijuana dispensers who must operate exclusively in cash, placing them at greater risk of being robbed. As it stands, banks have to notify federal regulators of suspicious activity, such as moving money from illicit activity like drug dealing. To address that glaring conflict, Treasury said banks now must file a “marijuana limited” report that says the dealer is following the government’s guidelines, including ensuring that sales revenue does not wind up in the hands of criminal enterprises. But if the bank believes the dealer’s revenue is not coming exclusively from legal sales, then it has to file a “marijuana priority” report to alert regulators. “This is very good news,” said Steve Horwitz, owner of the Ganja Gourmet in Denver. Last week, Horwitz’s bank, Wells Fargo, discovered that he sells marijuana-laced food and closed his business account. Horwitz said he has already had to change credit card processors and banks once, and was at a loss as to what his next step should be. “Just fifteen minutes ago, me, my office manager and my budtender were discussing this,” he said. Horwitz has heard that other shop owners have opened personal accounts or set up shell companies in order to bank. But he wasn’t sure how he would manage things like payroll or taxes with those options. Wells Fargo did not comment on Horwitz’s case but said it is the bank’s policy not to work with marijuana businesses. “We are reviewing the guidance” issued Friday, said Mary Eshet, a bank spokeswoman. Financial firms could be handsomely rewarded for banking legal marijuana business. The legal U.S. industry is expected to reach $2.57 billion in sales this year, according to ArcView Market Research. But the government’s new rules may not be enough to assuage bankers’ fears. The Justice Department has embarked on an aggressive campaign against money laundering, going after banks, including HSBC, for allowing millions of dollars from drug traffickers, terrorists or countries under sanctions to illegally move though the U.S. financial system. Against that backdrop, bankers may turn away business that could paint a target on their backs. Nothing in the guidance protects a bank from future prosecution if a new administration decides to prosecute state-licensed companies for violating federal drug laws, analysts say. As long as marijuana is classified in the same category as heroin, bankers will remain reluctant to do business with dealers, even if they are operating within the confines of state laws, analysts say. The banks could face a civil penalty if they do not strictly abide by the rules laid out in the guidance, said a senior Treasury official, who was not authorized to speak publicly. But the official also said that the ultimate goal is to mitigate the risks associated with having these businesses operate in an unregulated all-cash system — not to ensnare the financial institutions. “We’ll focus enforcement on individuals or institutions who willfully and systematically act in contravention of the guidance, not some technical mishap,” the official said. Until now, marijuana dispensers have had to find backdoors into the banking system. Some set up holding companies with nondescript names that obscure the nature of their business, while others use their personal bank accounts, said Taylor West, a spokesperson for the National Cannabis Industry Association. These accounts, she said, are usually closed once bankers start noticing the large quantities of cash running through them. Mike Cuthriell has been lucky. The owner of Metropolitan Wellness Center, a medical marijuana dispensary in the District, has used his personal bank account for his business since opening in August. He would not disclose the name of the bank, out of concern for his relationship with the institution. Despite the new banking industry rules, other challenges to the industry remain, he said. Federal tax policy makes it difficult for him to claim deductions on his returns, Cuthriell said. “While we’re generating revenue, we’re not cash-flow positive yet. And we’re not certain that we’ll be able to write off traditional business expenses, which will have a large impact on our finances,” he said. Cuthriell said his accountant advised him not to attempt to gain any tax benefits from his business. The Internal Revenue Service could come after his business. Dina ElBoghdady, Hayley Tsukayama and David Fahrenthold contributed to this report. This entry was posted in Business and tagged Banks, Business, Marijuana, Obama. Comcast Corp. CMCSA +0.44% has agreed to buy Time Warner Cable TWC +0.30% for $45 billion in stock, in a deal that would combine the nation’s two biggest cable operators, according to people familiar with the situation. The boards of both companies have approved the transaction, which will be announced Thursday morning, one of the people said. With the proposed deal, Comcast almost certainly ends an eight-month takeover battle for TWC waged by fourth-largest cable operator Charter Communications Inc. CHTR -0.24% and its biggest shareholder, Liberty Media Corp. LMCA +0.87% , whose chairman is cable pioneer John Malone. By negotiating the deal, Comcast Chief Executive Brian Roberts ensures his dominance of the U.S. cable industry will be maintained. But the transaction would face lengthy regulatory review. Charter’s pursuit of TWC, which began after Liberty bought a 27% stake in Charter about a year ago, had raised the possibility that Mr. Malone would emerge as a rival to Mr. Roberts. Mr. Malone once led the U.S. cable industry but sold his previous cable firm, Tele-Communications Inc., to AT&T in 1999. In the deal, Time Warner Cable shareholders will receive $158.82 a share in stock for their shares, about $23 a share above where TWC has been trading. Time Warner Cable shareholders will own about 23% of the combined entity. Charter has made three offers, the most recent of which was valued at $132.50, all of which were rejected by TWC as too low. Time Warner Cable Chief Executive Rob Marcus had said TWC wanted $160 a share. News of the deal comes just a couple of days after Charter ratcheted up the pressure on TWC by nominating a group of 13 people as candidates for TWC’s board, ahead of this spring’s annual meeting. Comcast and Charter were in talks about a deal where it would endorse Charter’s bid in exchange for an agreement where it would buy some East Coast Time Warner Cable systems from Charter if it were successful in buying TWC. But last Tuesday Comcast and Time Warner Cable re-initiated talks, when Mr. Roberts reached out to Time Warner Cable’s Mr. Marcus, one of the people said. Comcast was very uncomfortable with the idea of a proxy fight that Charter was gearing up to wage, another of the people said. Comcast approached Time Warner Cable last week with an offer to buy the entire company at about $150 a share, a person familiar with the matter said. As the offer was much closer to the $160 a share TWC was looking for, it sparked the renewed talks. Comcast’s Mr. Roberts at times negotiated with top Time Warner Cable brass including Mr. Marcus and Chief Financial Officer Artie Minson on the phone from Sochi, where Mr. Roberts has been visiting for the Winter Olympics. On Wednesday evening, Time Warner Cable’s board met around 5 p.m. to discuss the deal, around the same time Comcast’s board was meeting. By about 8 p.m., the boards had approved the deal. The deal faces high regulatory barriers. Comcast not only serves more pay TV customers than any other company in the U.S., nearly 22 million video subscribers, but it also owns the entertainment company NBCUniversal, parent of the NBC broadcast network and several big cable channels as well as Universal film studio. Time Warner Cable serves about 11 million video subscribers. 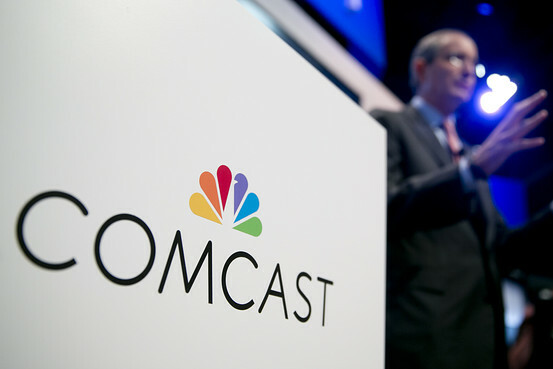 Comcast is prepared to divest three million subscribers, the people said. Those divestitures will keep its ownership of the pay TV market below 30%, the people said. Comcast hopes to convince regulators that because cable companies don’t compete, their deal should go through. 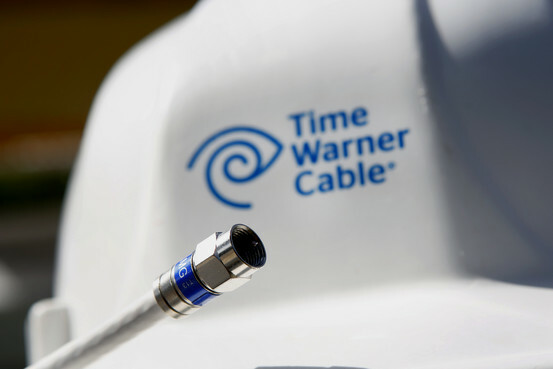 Any bid for Time Warner Cable would have to be approved by both the Federal Communications Commission and the Department of Justice, which hasn’t been shy about bringing antitrust enforcement actions against would-be mergers that it believes will harm competition. Last year, the department’s antitrust chief, Bill Baer, challenged major mergers in the beer and airline industries, though both cases ultimately settled and the deals were allowed to proceed after the companies made several concessions. Purchasing Time Warner would give Comcast roughly a third of the national cable market, raising concerns over whether the combined company would have too much leverage over content providers in negotiations. However, the deal may benefit from the perception of some regulators that cable is a natural monopoly whose primary competition comes from satellite providers and telephone companies like Verizon and AT&T. The FCC previously tried to impose a 30% horizontal ownership cap on the cable industry, but the D.C. Circuit Court of Appeals threw out that limit in 2009. Since then the commission approved Comcast’s purchase of NBC Universal, giving it a strong foothold in the content industry and control over one of the four broadcast networks. Comcast agreed to a wide range of conditions as part of that deal, including a promise not to discriminate against third-party content traveling over its networks for seven years. Having recently lost a court challenge to its Open Internet rules, the FCC could force Comcast to agree to extend its net neutrality agreement as part of any review. —Gautham Nagesh and Brent Kendall contributed to this article. This entry was posted in Business and tagged Business, Comcast, Time Warner Cable. You may be thinking with your heart this Valentine’s Day, but that makes you vulnerable to scammers trying to steal your money and identity! The FBI says in a report that last year victims of romance scams lost at least $56 billion. AARP has put together some of the top scams to be aware of as you get ready to celebrate the holiday. 1. Beware of scammers trolling online dating sites – criminals create fake identities, form a relationship with you online and then ask for money. 2. Lookout for e-cards – they could infect your computer with Malware, which allows criminals access to your profiles and online accounts. 3. Never click on embedded links – they could also infect your computer with Malware. 4. Look out for ‘sales’ from unknown online retailers – the emails advertising sales from suspicious websites could just be a trap for you to “buy” something and give up your credit card information. 5. Be cautious of social media – some Valentine’s Day apps and messages from friends could link to a survey that allows scammers to gather your personal information. AARP says a good rule of thumb is to be cautious during the holiday. If you’re making online purchases, go to websites that you’ve shopped with before and type the URL into your browser directly, don’t click on embedded links. And as soon as you’re done with online shopping, go back to thinking with your heart for a bit. After all, that’s what Valentine’s Day is all about! This entry was posted in Business and tagged Business, Valentine's Day. ISLAMABAD: Around 22 solar power projects having a cumulative capacity of 772.99 MW are under different stages of development and can achieve commercial operation by 2015-16. These projects would achieve commercial operation by stipulated period subject to availability of Grid by National Transmission & Despatch Company (NTDC) Limited Pakistan and announcement of tariff by National Electric Power Regulatory Authority (NEPRA). Sources at Alternative Energy Development Board (AEDB) on Wednesday said the department is pursuing and facilitating the development of Alternative and Renewable Energy (ARE) based power projects through private sector. The Renewable Energy (RE) power projects based on wind and solar energy are being developed by private sector on Independent Power Producer (IPP) mode. Moreover, the sources said two wind power projects of 49.5 MW and 56.4 MW capacities respectively are operational while three wind power projects of 150 MW capacities in total are under construction and expected to be completed this year. They said another thirteen wind projects having a cumulative capacity of 680 MW are at advance stages and ready to achieve financial closing in 2014. The sources said Alternative Energy Development Board (AEDB) is promoting use of solar technology at domestic level for electricity generation adding that the private sector is already using solar energy for domestic use for self-consumption as there is no restriction or licensing requirement. The RE Policy allows consumers to avail features like Net-Metering and Wheeling of Energy which require interconnection with the grid, they said and added the implementation of such schemes, however, requires regulatory framework enabling the domestic, commercial and industrial users to carry out net-metering and wheeling using solar energy. The AEDB has also prepared draft rules for distributed generation, covering electricity generation from solar at domestic level, and submitted the same to NEPRA for announcement. The NEPRA, being the regulator, is the concerned agency for developing regulatory framework including incentives. 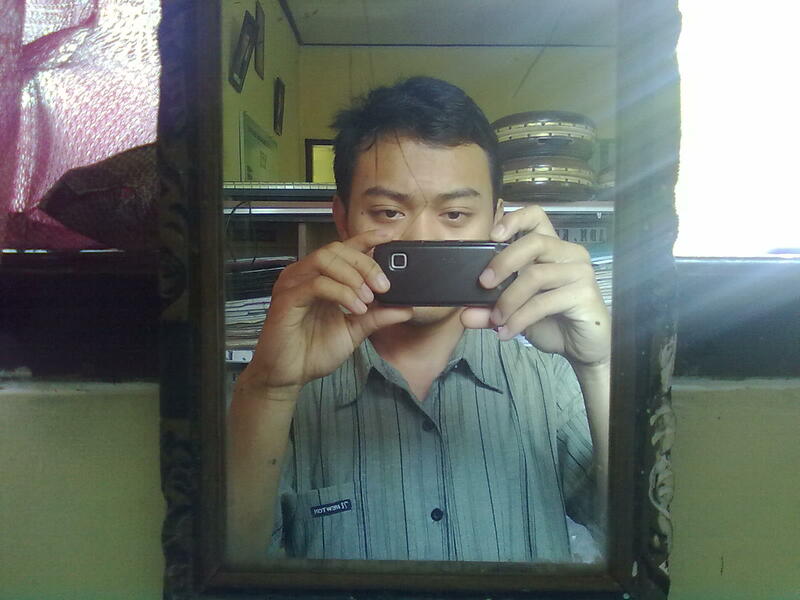 This entry was posted in Business and tagged Business, Solar power. LONDON — The Bank of England on Wednesday abandoned its six-month-old strategy of pledging to consider raising interest rates only when unemployment falls to 7 percent, saying it would now consider a range of factors. Mark J. Carney, the governor of the Bank of England, also stressed that a rate increase was still some way off. Overhauling his so-called “forward guidance” strategy, Mr. Carney said that decisions on an increase would now be linked to a broader range of factors, including spare capacity in the economy, labor productivity and wage growth. “The recovery as yet is neither balanced nor sustainable,” Mr. Carney told a news conference, adding that the bank’s new policy would take no risks with that fragile recovery. This would be achieved by “waiting to raise the bank rate until spare capacity has been absorbed and then eventually through gradual and limited rate increases. Bank rates may need to stay at low levels for some time to come,” Mr. Carney said. The central bank was forced to review its August pledge to only start considering raising interest rates from a current record low of 0.5 percent when the unemployment rate would fall to 7 percent. But years of record low interest rates and other government stimulus helped to revive the economy and push unemployment close to the 7 percent threshold years earlier than the central bank anticipated. “We didn’t expect to be here at this point in time but we have learned,” Mr. Carney said. The change of strategy raises some questions about the credibility of the Bank of England and whether its so-called forward guidance policy worked. The policy was introduced to much fanfare by Mr. Carney when he took over as Bank of England governor and Britain’s economy was in much need of support. But some economists have said the policy lacked credibility from the start because the unemployment rate threshold was too high, leaving investors and consumers wondering about how soon interest rates would rise again. In a sign that the economic recovery in Britain is gaining momentum, the unemployment rate fell to 7.1 percent in the three months through November from 7.8 percent in the summer, when the Bank of England announced its forward guidance strategy. At the time, the Bank of England expected unemployment to fall that low only in 2016. As the economic outlook improved, more economists started to expect the Bank of England to start raising rates earlier than 2016. Until now, Mr. Carney has been rejecting such suggestions, saying that the recent improvement might be more fragile than it looks. Under mounting pressure about his policy, Mr. Carney was forced to repeatedly reiterate that the Bank of England was not considering an interest-rate increase anytime soon. This entry was posted in Business and tagged Bank, Business, England, London. Why was Flappy Bird so popular? Leaked: Is this what the iPhone 6 looks like?